A common reason for back pain is often not diagnosed quickly enough. 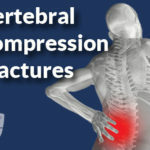 A compression fracture is a break in the vertebral body of the spine. 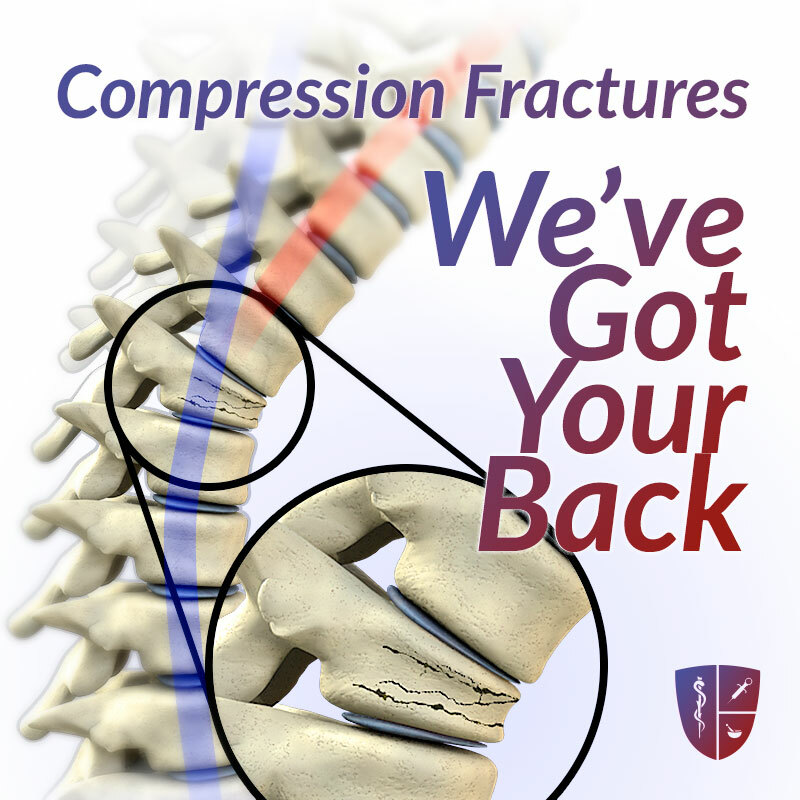 There are nearly 700,000 vertebral compression fractures in the United States each year. It often results in not only pain but a change in posture if it worsens. In addition, studies have shown that once a person has one compression fracture, he or she is more likely to suffer another. Patients at risk for compression fractures include those with osteoporosis, cancer, and trauma. Unfortunately many of these compression fractures are not detected soon after they occur. The main symptom is a sharp, severe pain in the middle of the back. The pain is often crippling, leading to an inability to function, and in some cases, walk or even stand up. A severe compression fracture can be detected by X-ray, but MRI is the most useful diagnostic tool. MRI allows doctors to determine how old the fracture is and whether it may be crowding the spinal cord or nerves. Historical management for compression fracture included bed rest; during which time, the hope is that the fracture will calcify and heal. Unfortunately the loss of height of the vertebral body cannot be restored with rest. In addition, patients will suffer further demineralization and weakening of their bones by lying in bed and not bearing weight. This inactivity also puts patients at risk for other problems such as blood clots and pneumonia. Fortunately, doctors have a new treatment option for this called kyphoplasty. If the compression fracture is detected early enough and evaluated by MRI, a patient may benefit from kyphoplasty. In this procedure, the doctor will insert a probe into the fractured vertebra and inflate a small balloon inside. This creates a cavity that cement is injected into so the fracture does not worsen. Often, the kyphoplasty may restore the vertebral body to its natural height. The procedure typically results in excellent pain relief for the patient immediately after it is completed. If a compression fracture is detected, kyphoplasty may be an option, especially if the fracture is recent and the pain is debilitating. As with any procedure, the risks and benefits vary for each patient and should be discussed with your physician prior to undergoing the treatment.